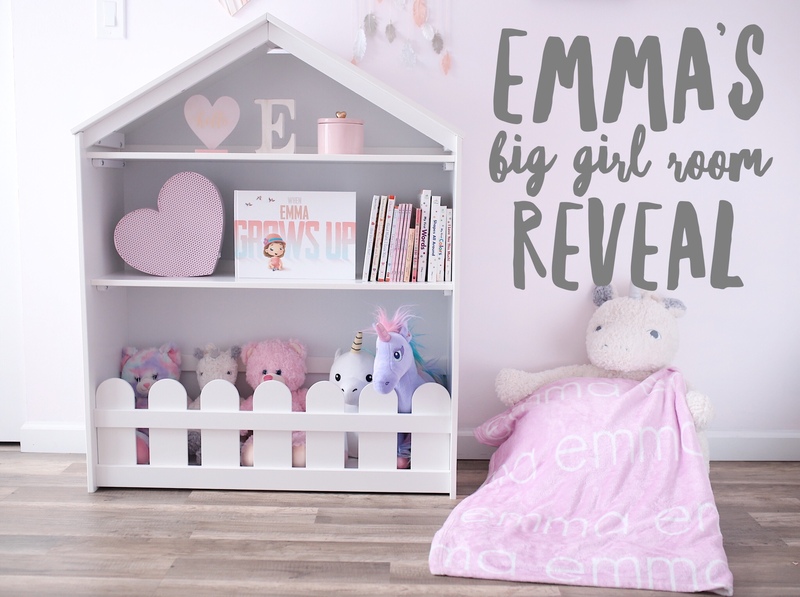 I cannot believe that I am writing a blog post about my first born’s BIG GIRL ROOM! 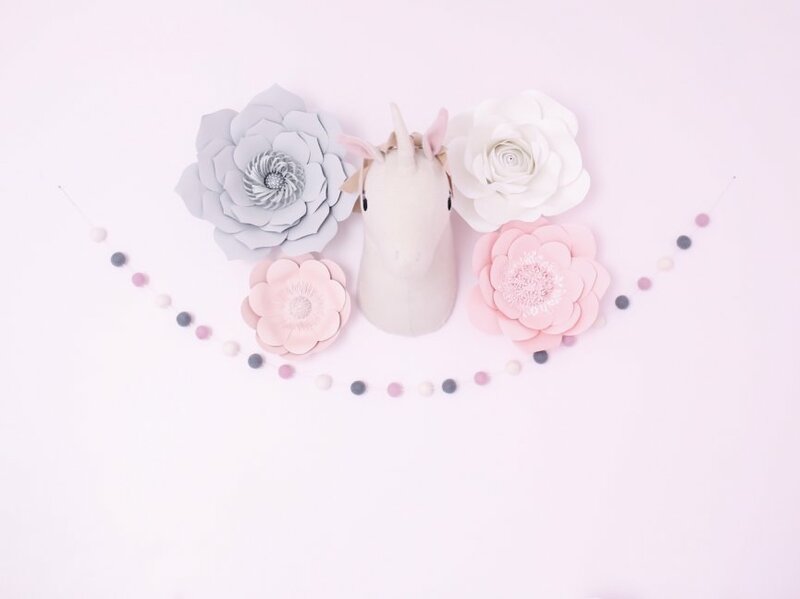 I feel like I was just working on her nursery weeks ago, and now I have completely transformed my little girl’s sweet nursery into a beautiful toddler room. I wanted to give a HUGE shout out to Delta Children for gifting us Emma’s toddler bed, new mattress and bookshelf. Also to Carousel Designs for sending us all of Emma’s bed sheets, and a ton of decor that helped make her room complete. Any time I post a picture of Emma’s room I always get questions about the wall color. The name of the color is Barely Pink and it’s by Behr. 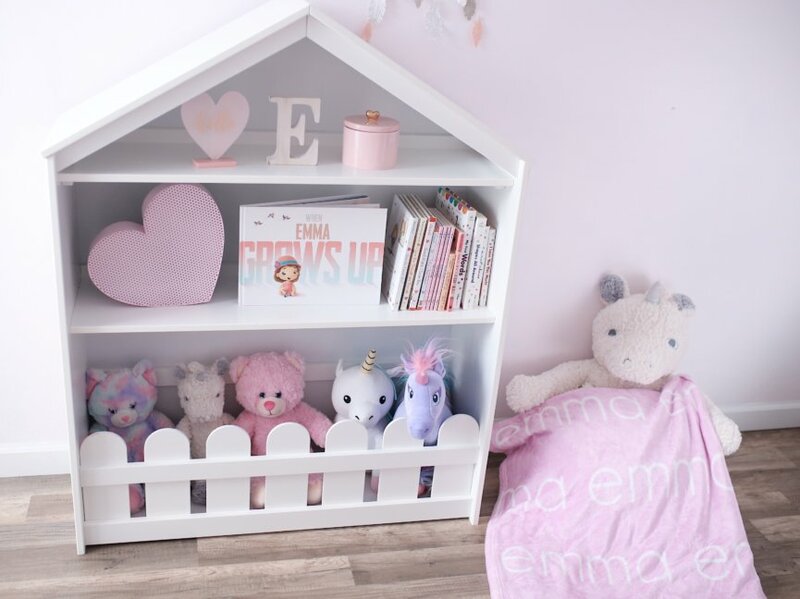 This has always been the color of Emma’s walls, even in our first home, where Emma’s nursery was made – Barely Pink is just the perfect shade of pink! 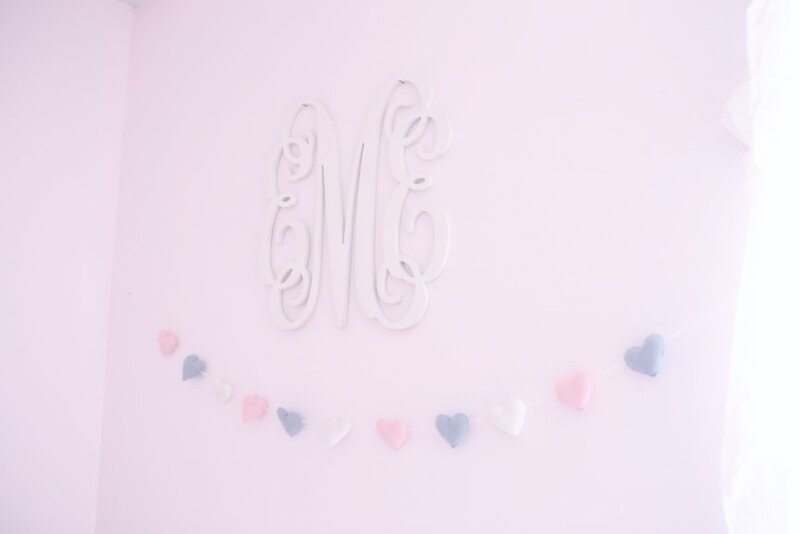 I got Emma’s monogram and Heart Garland on Etsy. I purchased them when I was still pregnant! Like I mentioned above, her toddler bed is from Delta Children – it was so easy to put together and Emma loves it! Delta Children offers a ton of goodies for your little ones! 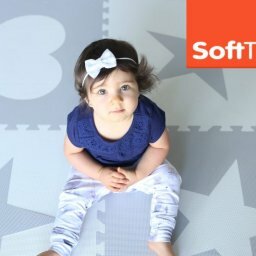 From furniture, to decor, to gear, their stuff is awesome and affordable too! 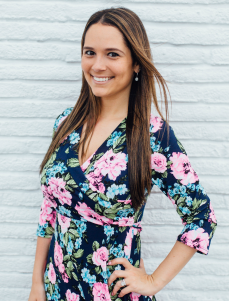 Even better, if you use code LAURA15, you can save when purchasing from Delta Children! Her whole bed set is from Carousel Designs and I can’t say enough good things about them! Shipping was extremely fast, which is surprising for personalized items. Everything is beautiful and very high quality. Most of the things you see in the bookshelf are little knickknacks I have randomly collected. 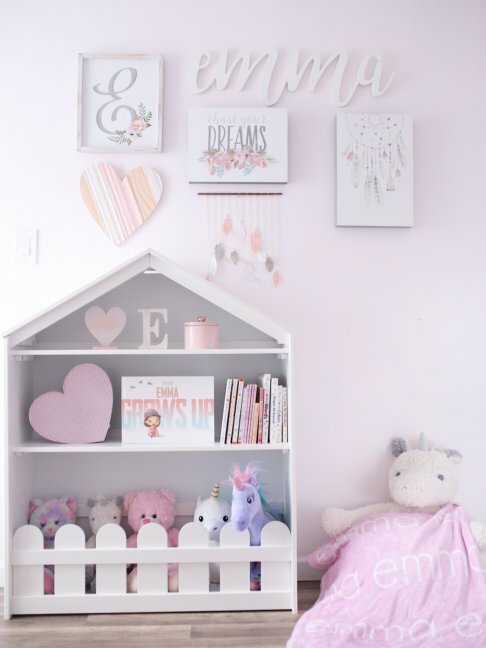 The wall decor is mostly from Home Goods, and the little animals at the bottom of the shelf are from Build a Bear – Emma takes them out every night to sleep with them! I am so thankful for the wonderful brands that worked with us to make my vision of Emma’s Big Girl Room become a reality. Every time I walk into her room I feel so happy because I feel like her bedroom is definitely a little girl’s dream come true!